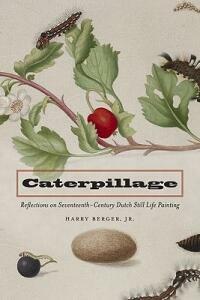 Caterpillage is a study of seventeenth-century Dutch still life painting. It develops an interpretive approach based on the author's previous studies of portraiture, and its goal is to offer its readers a new way to think and talk about the genre of still life. The book begins with a critique of iconographic discourse and particularly of iconography's treatment of vanitas symbolism. It goes on to argue that this treatment tends to divert attention from still life's darker meanings and from the true character of its traffic with death. Interpretations of still life that focus on the vanity of human experience and the mutability of life minimize the impact made by the representation of such voracious pillagers of plant life as insects, snails, and caterpillars. The message sent by still life's preoccupation with these small-scale predators is not merely vanitas. It is rapacitas. Caterpillage also explores the impact of this message on the meaning of the genre's French name. We use the conventional term nature morte ("dead nature") without giving any thought to how misleading it is. Because so many portrayals of still life involve cut flowers, which, although still in bloom, are dying, it would be more accurate to name the genre nature mourant. The subjects of still life are plants that are still living, plants that are dying but not yet dead.